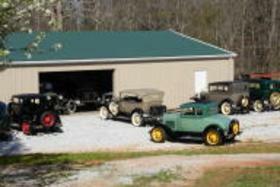 About - Bentley's Antique Auto Service, Inc.
Bentley's Antique Auto Service is a Full-Service shop specializing in Model A Fords. It is named after me, Bentley Bohanan. My friends call me Benny, you can too. We are located in Maysville Georgia, about 60 miles North of Atlanta just off I-85. 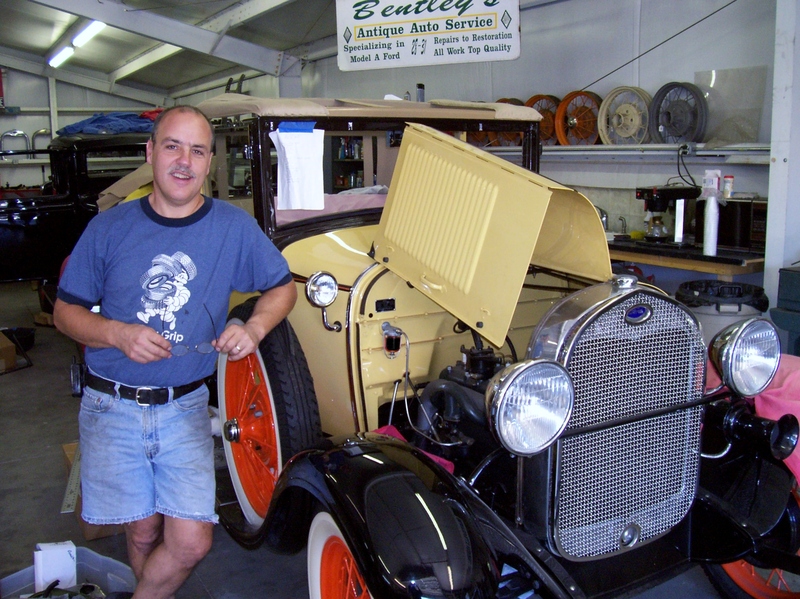 Bentley's Antique Auto Service can do just about anything to a Model A Ford. We have done over 60 full frame-off restorations. We do brake jobs, steering rebuilds, anything to the running gear, glass, upholstery, body and show quality paint work, you name it. We also provide rebuilt Model A engines to our same high quality standards. We provide excellent service to our customers at honest, reasonable rates. We do not try to be the "Cheapest" shop around, but instead focus on First-Class work that we can be proud to give back to our customers. 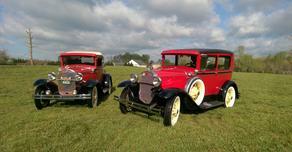 You are liable to find 8 to 10 Model A Fords in the shop at any time. We keep 2 or 3 full restorations going along with several service jobs and a couple in the waiting room to be started on. Since Bentley's started in 1996, we have completed over 60 "down to the last detail" restorations. Several of these full restorations have gone on to win awards at local and National level car show competitions. We also do a lot of service jobs, which usually include brake and steering work, electrical, cooling system and so forth. Call or come by if we can help with your Model A. Engine rebuilding and machine work. Show quality paint and body work. Help with purchasing or selling a Model A. Help with locating or selling used Model A parts. Appraisal services for insurance purposes. We’re committed to providing you with the highest level of service, so you’ll always choose us for your Classic Car maintenance and repair needs.